How Fast Do Materials Weather? Many instructors have used tombstone weathering in their courses. The specific examples given on this page were developed R. Teed (SERC) based on examples for different sites initially developed by G.S. Hancock and C.M. Bailey (College of William and Mary and Starting Point page by Rebecca Teed (SERC). In each activity described below, instructors giving a lecture on weathering ask students to calculate weathering rates from tombstone weathering data. Atmospheric (and precipitation) chemistry determines the rate of weathering for marble tombstones. Show the students data from a rural and an urban cemetery, ask them to estimate rates, and then have them speculate as to why the rates are so different. An opportunity for students to exercise and develop their quantitative skills. This in-class exercise should take only a few minutes and is appropriate for a lecture on acid rain and/or rock weathering. The data for this example of tombstone weathering from two Australian cemeteries are from Dragovitch, 1986 . Animated PowerPoint slide (PowerPoint 42kB Oct22 03) - click once for trendline, again for rate. Based on example by G.S. Hancock, College of William and Mary. Graphic ( 7kB Oct22 03) for handout. Based on example by C.M. Bailey, College of William and Mary. Ask students to determine the relationship between weathering depth and age. Call on students to describe the relationship. For an animated Powerpoint slide, show an estimated "best-fit" line through the data by clicking on the image. Ask students to estimate the mean weathering rate (in mm/century) and check their answer with their neighbor. Have each student write their answers on the handout (or index card for a PowerPoint example) and turn it in or call on students to give answers and discuss. Repeat the process with data from another cemetery, such as Wollongong. Wollongong's data are strange; the tombstones don't decay over same time period as Sydney's, but they seem to start off badly degraded. Wollongong has been industrializing rapidly, with a copper refinery in 1907 and a steelworks in 1928. The concentrated acidic precipitation strips the finish off tombstones very rapidly! Each activity could be used in large as well as small classes. One way to introduce such activities would be to show an image of a tombstone. Informal for the in-class exercises. 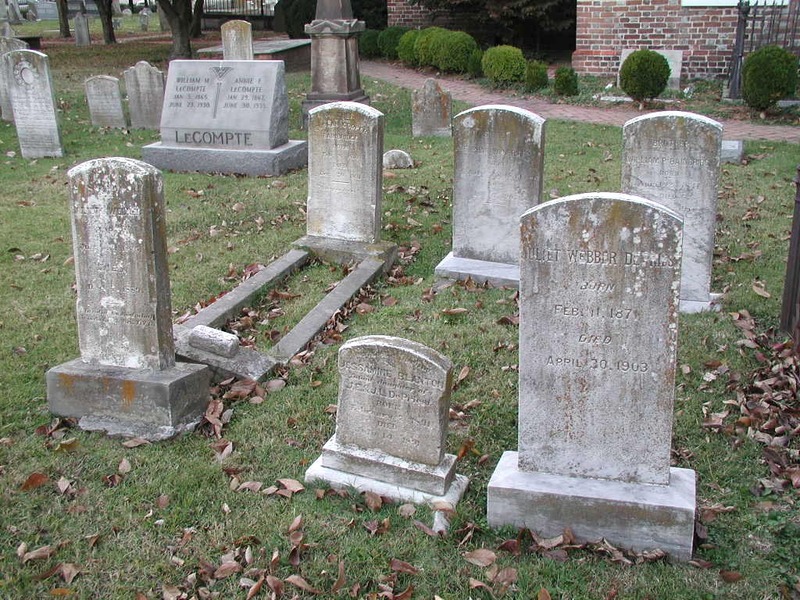 The instructor may wish to have the class estimate the weathering rate for one cemetery in class, and then have students estimate the rate for another on a test or a quiz. Studying rock types, weathering processes and human history in a cemetery.